Two weeks from the MLR playoffs, the Glendale Raptors are in first-place with a 7-0 record. 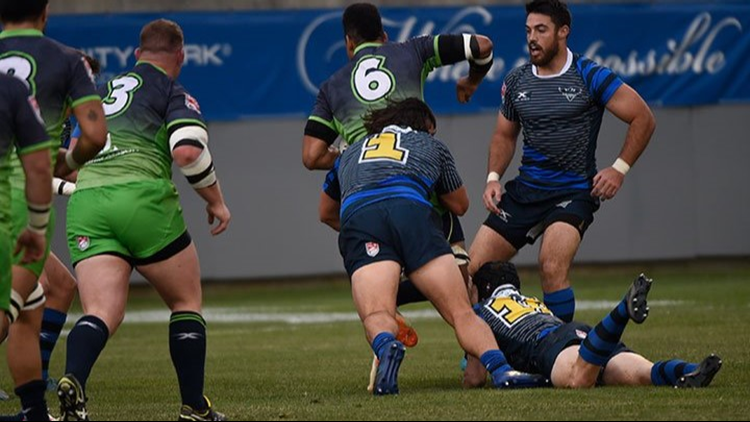 KUSA — GLENDALE - The Glendale Raptors continued their winning ways with a 33-11 victory over the Seattle Seawolves on Saturday night. The first-place Raptors improved their record to 7-0 in the inaugural season of Major League Rugby. Glendale swept the season series against the second-place Seawolves. With one week left in the regular season, the Raptors will travel to San Diego on Saturday, June 23 for a match against the Legion. The inaugural Major League Rugby playoffs are scheduled for Saturday, June 30 at Infinity Park in Glendale. Matches will begin at 5 p.m. and one ticket gets fans access to both scheduled matches that day. Glendale Raptors playoff tickets are available online at GlendaleRaptors.com.